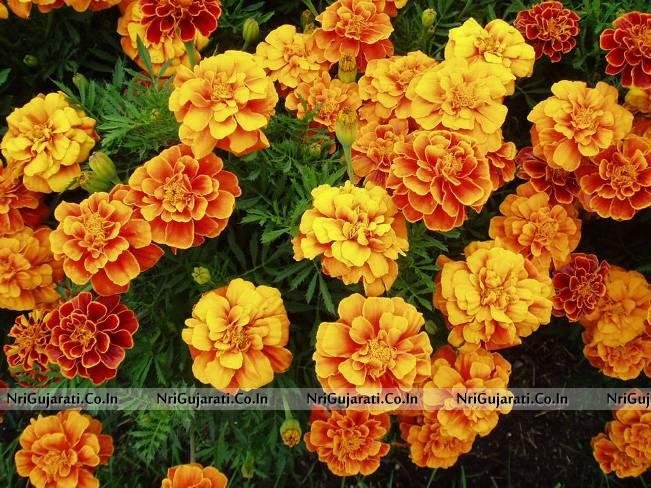 Marigold is the flower of the Gujarat state. In 16th century marigolds were discovered by the Portuguese in Central America. The other names of Marigold are Golgotha, Ganda, Holligold Garden marigold etc. The shape and the color of marigold are based on the sun. The family of marigold is sunflower. It is grown easily everywhere. Marigold flower have more than 100 leaves in one flower. It is used in making garlands, for worship of gods, religious purposes etc. Mainly used for the decoration of wedding. It is available very much in summer. It is grown worldwide. Marigold is cultivated in all variety of soil. 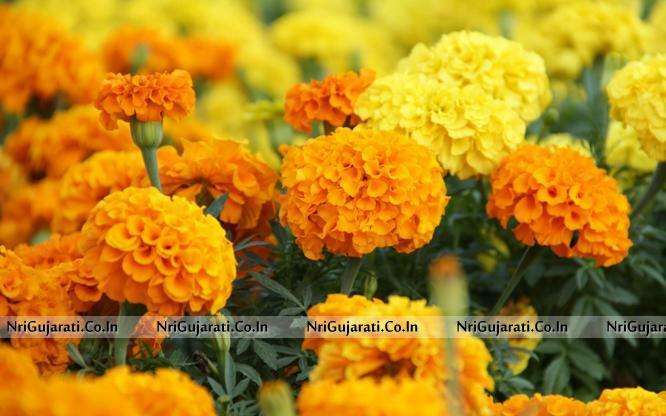 Gujarat State flower Marigold comes in different colors, yellow, gold to orange and red. The smell of it is strong and it is used in cosmetics purpose. Marigold has many other spices also like Mule marigold, Pot marigold, Signet marigold etc. Did you know which our State Flower is??? Marigold is state flower of Gujarat. Marigold is used for making medicine for eye and skin disease. The liquid of marigold is used to cure the corn, swelling, toothache, headache, Stomach upset, warts and injuries. The skin disease can be cure by using the lotion or cream of it. The massage of it on injured part gives relief. The pigment of it is used as color food. The oil of it is used to prepare perfume. Gujarat state flower is Marigold. The garden of marigold looks beautiful.